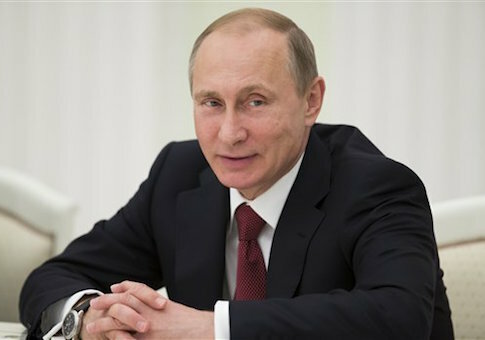 Vladimir Putin said Tuesday that Russia would bolster its nuclear forces this year with more than 40 new intercontinental ballistic missiles (ICBMs), Vice News reports. The Russian president spoke at an arms show where he also displayed an aircraft carrier and an amphibious landing ship. He said the ICBMs would be "capable of penetrating any, even the most technologically advanced, missile defense systems." Tuesday's weapons announcement follows a statement on Sunday from Poland's Defense Minister Tomasz Siemoniak, who said he and US Defense Secretary Ash Carter discussed plans for deploying American heavy arms equipment in the country. Russia's government said that the plans to place new weapons close to Russia's border could incite dangerous instability in Europe. "The United States is inciting tensions and carefully nurturing their European allies' anti-Russian phobias in order to use the current difficult situation for further expanding its military presence and influence in Europe," the Russian Foreign Ministry said Monday. "We hope that reason will prevail and it will be possible to save the situation in Europe from sliding toward a military standoff which could entail dangerous consequences." U.S. officials have accused Russia of repeatedly violating the 1987 Intermediate Nuclear Forces Treaty by producing cruise missiles that could strike targets at a prohibited range. This entry was posted in National Security and tagged NATO, Russia, Ukraine, Vladimir Putin. Bookmark the permalink.